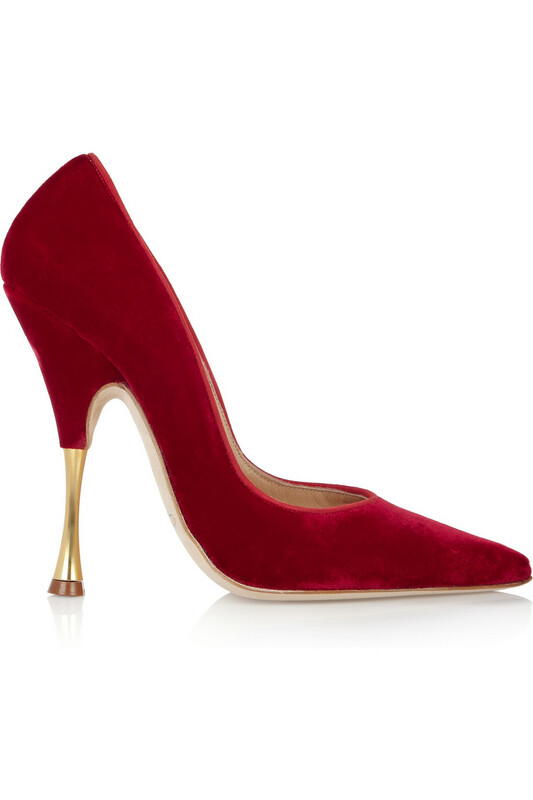 These beautiful Christmassy pumps are on sale at The Outnet and I must say they would certainly fill me with festive cheer on Christmas morning. They have such utterly beautiful curves that they actually gave me chills when I saw them. 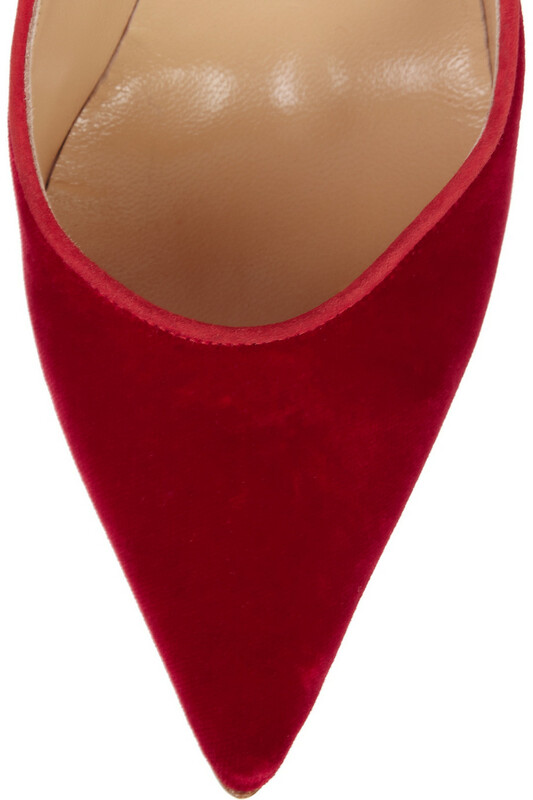 If you ever needed to find the perfect example of an appropriate Christmas shoe then this would surely be pretty much at the top of that list. Plus they are on sale, bringing them down to under £250 from an original RRP of well over £500. 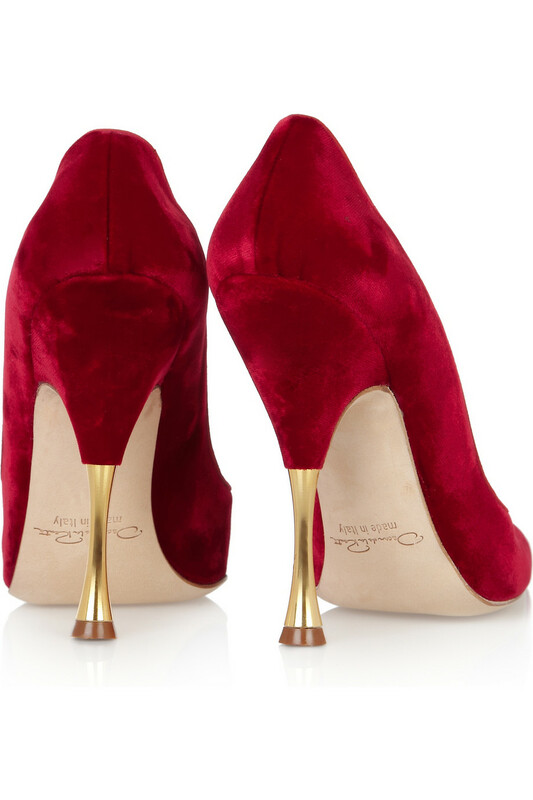 The heels are so beautiful - they remind me of little golden bells, it must be the slight flare at the bottom. 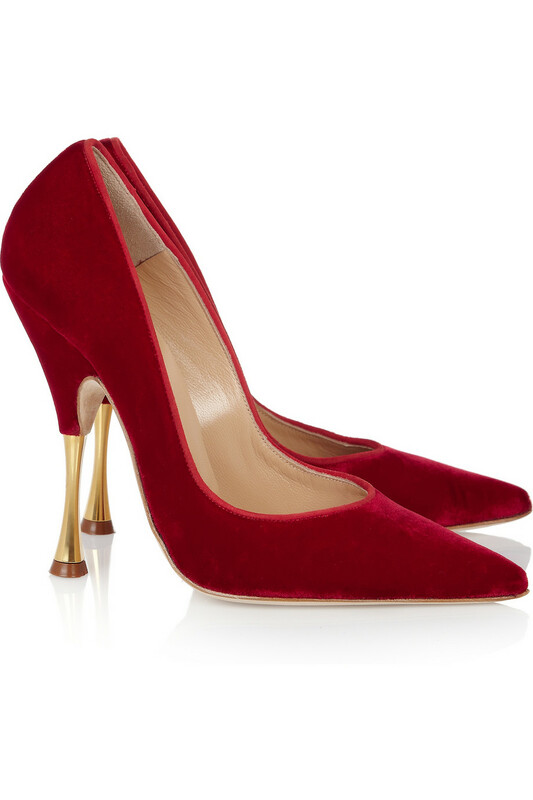 Divine, perfect festive footwear and on sale too! But be quick, when they are gone they're gone!